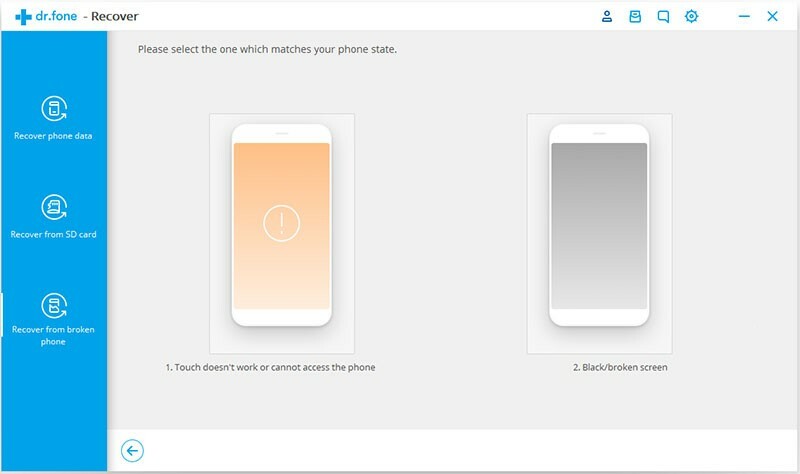 As flashing a ROM became more and more popular among Android phone users, for they can do much more than the original phone can do out of the box, however, bricked devices then become a more common consequence. Therefore, the important coping reaction should be retrieving files from it, because the subsequent repair may cause permanent data loss. Part 1: How to Rescue Data from a Bricked Android Phone? Part 2: What If Encounter Bricked Android Device and How to Fix It? Since the above case is common and it is essential to get data such as contacts, messages, photos off bricked Android phone, you need to know how to do that easily: using Android Data Extraction to get access to your phone and restore what you want would be a wise choice. Note: Currently this tool only supports Samsung Galaxy devices. However, we are still sparing no effort to improve it, so as to support more Android devices. Step 1: Launch Android Data Extraction, click on “Recover” feature from the dashboard. Next connect your phone to computer, if the software doesn’t detect your phone automatically, click “Recover Android data” to move on. 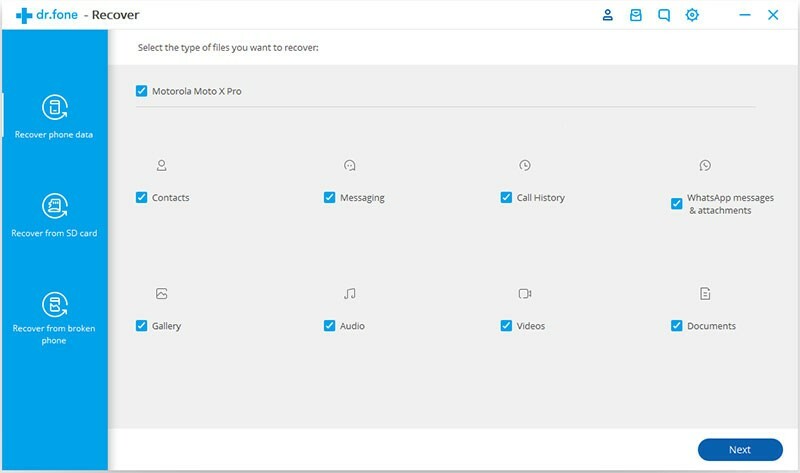 Step 2: Click on the third option “Recover from broken phone” on the left side and tick the file type that you want to recover or “Select all”, then “Next”. 1.Touch doesn’t work or cannot access the phone. Step 4: Device model is to be selected. 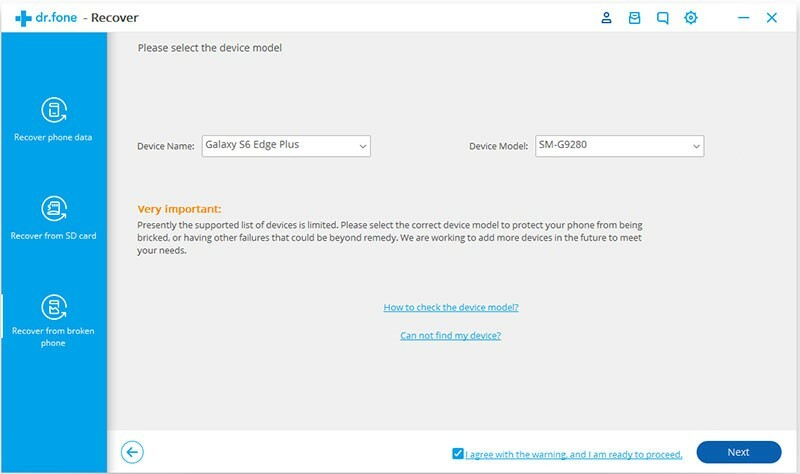 If you don’t know the device model or you are in a special case, just click on “How to check the device model” or “Can not find my device?”. 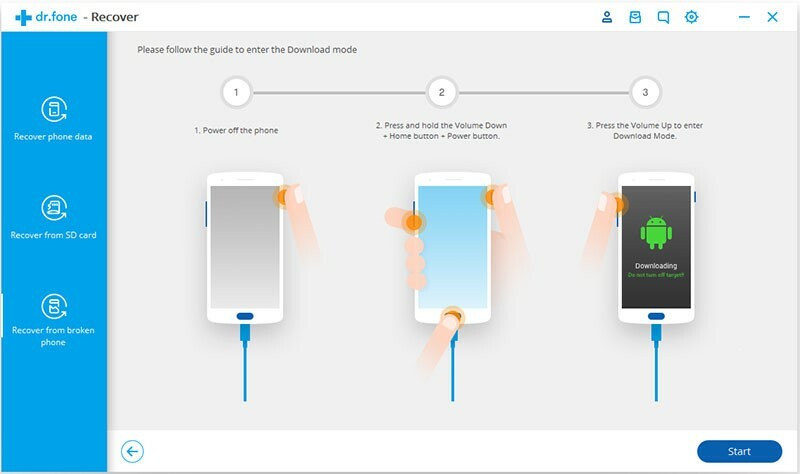 Step 5: Following the given instruction to enter “Download Mode”, connect the Android device to your PC, “Start”. 1. Press and hold the power button for 10 seconds to power off your device. 2. To enter the download mode, press and hold the Vol Down + Home + Power button simultaneously. 3. Finally, press the Vol Up button to confirm. 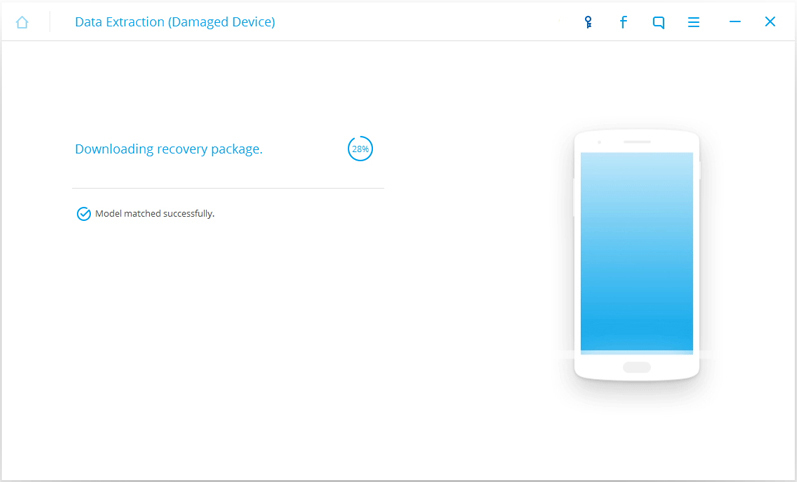 Step 6: Your device would be analyzed, with recovery package being downloaded. 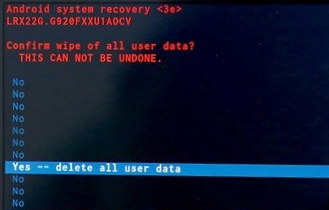 Step 7: Choose and preview the recoverable files that you need, and click on “Recover” to get them back to the PC. To flash a ROM improperly can cause different sufferings to your phone: rebooting constantly, stuck on boot animation, does not boot at all…. Let’s see what can be done to deal with these seemingly tough problems. This situation is likely to occur when you did not wipe your data and/or cache while doing flashing, because the leftover data from the former Rom is blocking in the way and causing your phone trapped into boot loops. Note: It will be a little bit different for varied Android phone to enter Recovery Mode, some phones just require you to press “Volume Up + Power Button”, but for Samsung, “Volume Up + Home + Power Button” must be pressed at the same time, then you would enter a interface with ” *** Recovery” on the top. If your phone display the message “No command”, press and hold the Volume Up + Power buttons together (for Samsung device, hold the Volume up + Home button) again for a few seconds and you will see the Recovery mode menu. Step 2: Use the volume button to scroll through the menu to “Wipe Cache Partition” option, and press power key to enter the option. Then press volume button to choose “yes”, it will factory reset your phone. Step 3: Repeat step 2 and choose “wipe cache partition”. Step 4: Reboot your phone by choosing the first option “Reboot system now”. Done. Step 1: If the ROM you flashed has some problems, your device would boot straight into recovery mode after flashing, once it happens, choose “Reboot system now” to restart the phone. 1.Copy the ROM’s ZIP file into your SD card from the PC. 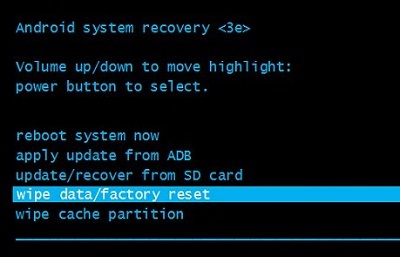 2.Insert the SD card into your device again and enter Recovery Mode. 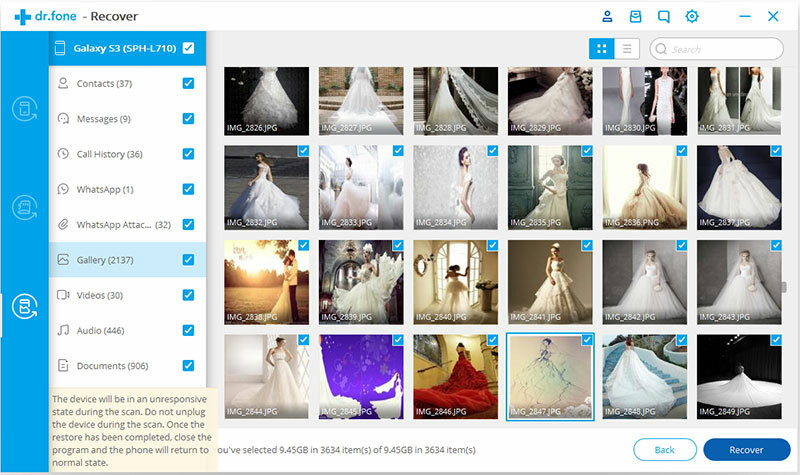 3.Click on “install zip from SD card” and choose the ZIP file you’ve copied to do re-flashing. 4.Finally, reboot the phone. Done. It is likely for most phone users to misread the word “bricked”. Actually, if your phone is truly bricked, it won’t turn on at all; no matter what measures you are going to take, it won’t help, and you cannot fix it by yourself. If this situation unfortunately happens, you are supposed to sent it to repair store, or even worse, you are going to have a new one. Suppose that you would like to take risks to flash a ROM or do rooting by yourself, you probably should take some useful advice given here. Never regard backup as a troublesome and unnecessary thing, it would save your important data under a variety of unexpected situations. Thus, you should backup as much as possible, and the more locations the safer. 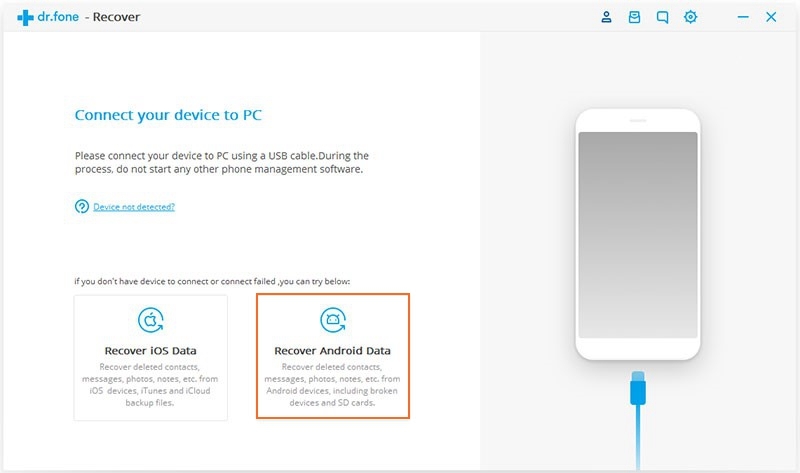 Backup data into cloud service such as Google Drive, in your PC, and keep a full Nandroid backup, etc, all in all, just reassure that you can regain them when they lose accidentally. Image that the process of flashing/rooting is almost done, suddenly, your phone is run out of power, and you have to repeat that annoying steps again…. So it is pretty necessary to make sure your phone has enough power to support this procedure. The recommendatory minimum quantity of electricity would be 70% to 80%. The above-mentioned problems happen after installing a firmware, mostly because the phone users rarely wipe system cache and factory reset, which is essential for prevent from causing boot loops and stuck on boot screen. Android’s Stock Recovery must be matched with Stock ROM. Besides, if you have chosen a Custom ROM to do flashing, a Custom Recovery should be chosen, too, for it will help you avoid bricking your phone. Moreover, ensure the Custom ROM chosen can actually be used on your phone model. 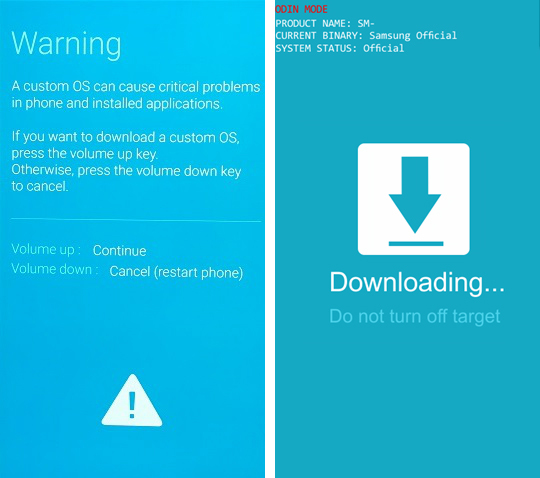 Note: The installation of custom Recovery should be done under Fastboot/ Downloading Mode. Since a lot of solutions for fixing bricked device rely on USB debugging, it is quite important to enable it in advance. Although the suggestions above cannot a hundred percent guarantee a flashing/rooting without any problems, at least you can avoid losing data, battery issues or uncontrollable reboots. Hope that you manage to do flashing/rooting successfully and smoothly next time.